Choice Communications, 370 W. Main Ave., Myerstown, PA, is a business communications company that was founded in 1984. Choice Communications has become a leader in the communications industry and has been providing their customers the leading technology in Hosted PBX Solutions, Business Communication Solutions, CCTV Camera Systems, Door Access Systems and Sound Masking Management. 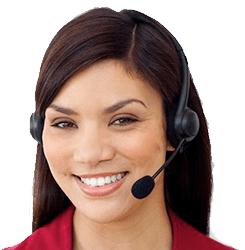 We also work directly with Comcast to provide internet and dial tone. We can streamline your current monthly bill and save you time and money. Whether you are looking for a Cloud Based Hosted PBX or an IP Based In-House Phone System, Choice Communications can develop a comprehensive strategy that maximizes your capabilities while delivering real cost savings. These systems also have the capability of networking phone systems together from multiple locations. Features include: wireless desktop handsets and headsets, unified messaging and unified communications. Your voice mail messages can now go to your email or go to your cell phone when you need to be mobile. You can also make your cell phone an extension of your phone system. And now you can also have the ability for your customers to text your business landline . We can also help you eliminate dropped or missed calls, increase voice, text & 4G LTE signals for all mobile devices inside your office. Due to an increase in security concerns, Choice Communications also sells and installs CCTV Surveillance Systems (Closed Circuit Television) from small fixed cameras to large multi-camera pan-tilt zoom applications. Both indoor and outdoor security issues can be addressed, as well as multiple site locations and remote monitoring via your cell phone. We also install door access management systems for your building security as well as time/ attendance management. Choice Communications is a member of the NextGen Group, a national organization of select telecom system integrators providing IP-based solutions and applications. With two new venues for our customer service, we can now become your total turnkey, dial tone, and internet solution provider. In addition, we have joined with Terra Nova to offer you Managed Services. So, with one call, we can now help you manage all your communications needs – from phone lines to internet, to phone systems and managed network solutions, whether digital or all IP to CCTV cameras and door access systems for your security needs. Choice Communications continues to add technicians to our team. Our technicians in every aspect of our business receive full training and certification. With continued changes in the industry, we will always be available to answer any questions and guide our customers to make the best “Choice” for their particular business communication needs. We strive to make every customer experience a good one. NextGen Technology Group is a national organization comprised of a select group of telephony integrators who seek business growth rewards by embracing next-generation IP technology solutions and drawing on the best practices of other ‘Best in Class’ members. Our members represent nearly $90M in revenue and service over 30,000 customers. NextGen members actively mentor, coach, educate and support one another so each member can attain their individual company’s business goals faster using proven management techniques while competing in a technically complex and rapidly evolving marketplace. Our members learn how to capitalize on next-generation IP telephony to build stronger individual businesses by parlaying the cost-savings and productivity benefits of this technology to customers of all sizes. NextGen was founded by a core group of six leading telephony integrators who were among the early IP telephony pioneers and who have a combined 117 years of experience in the telecommunications industry. Choice Communications is a member of the Ideacom national network of companies. Ideacom is a new kind of high tech organization. Ideacom was founded in 1986 by a group of dedicated business leaders with individual companies, who realized the benefit of working together in an increasingly competitive marketplace. By uniting their purchasing power, these successful entrepreneurs created an organization whose members enjoy the benefits of being part of a national organization, while retaining complete control over their own business and its identity.